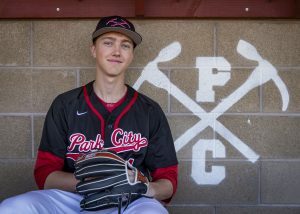 Rowmark shines in Sun Valley and P.C. At the IMD U18-U16 Qualifier in Sun Valley last weekend, Rowmark Ski Academy skiers brought home plenty of hardware. 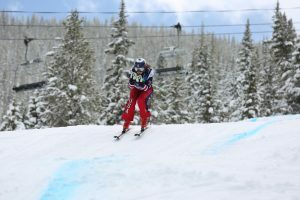 In the U16 giant slalom, Rowmark had three of the top six skiers, including winner Sommer Glasgow and Park City residents Madison Hoffman (second) and Katie Hensien (sixth). Hensien was also at the top of the podium in slalom, with fellow Parkite Cheyanna Hayes in fifth. For the U16 men’s slalom, Park City’s Liam Michael was third. Rowmark also placed two skiers in the top 10 in the U18 slalom, with Park City residents Chloe Fleischer (eighth) and Sophie Smith (ninth). Rowmark’s Junior Skiers also had a solid weekend at the South Series races at Park City Mountain Resort. In Saturday’s slalom, Parkites Arden Louchheim (U10), Zoe Michael (U14) and Tommy Hoffman (U14) all stood atop the podium. Fellow Park City resident Dagny Brickson was second in the ladies’ U12 on Saturday and fourth on Sunday. Other top-10 finishers included Park City residents Morgan Jacquin (ninth in U10), Boden Dumas (ninth in U10), Danika Mannelin (fourth in U14), Tasia Tanner (sixth in U14), Ellie Nichols (ninth in U14) and Carter Louchheim (10th in U14).